These top Jackson Hole dude ranches grant diverse choices for families, groups and solo travelers, from trail rides to Vaulting to the ranch where the ABC comedy “Modern Family" filmed. 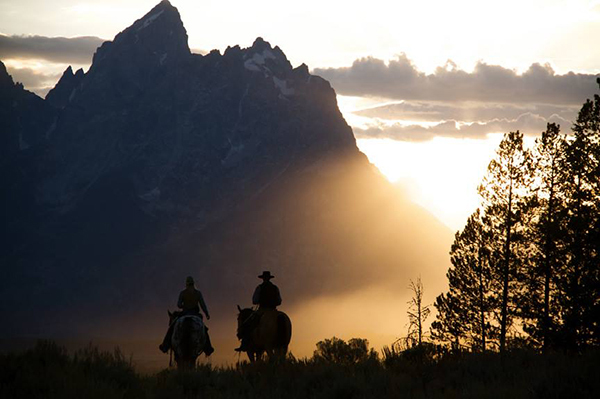 If you want to go dude ranch hopping, the Jackson Hole area of Wyoming is a good pick. 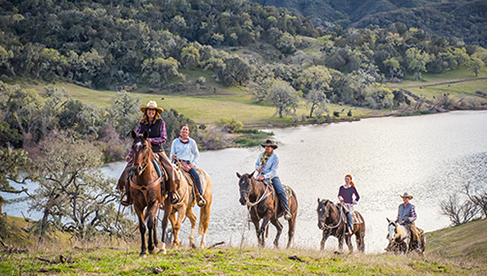 While most people just pick one guest ranch for their vacation, I decided to visit a few to get a better sense of what to recommend to other travelers and for a future place to take my friends and family to ride. 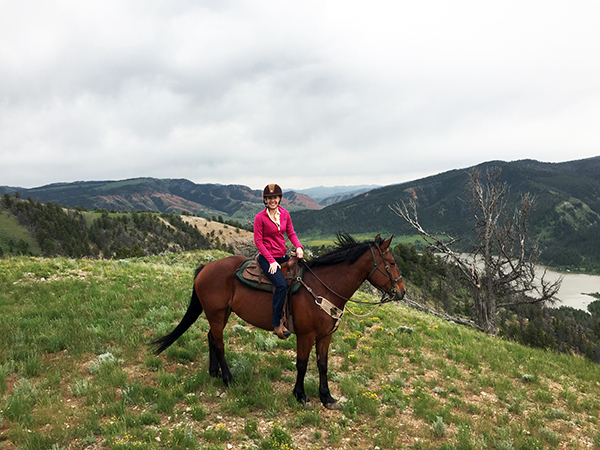 Riding high in the Bridger-Teton National Forest with Gros Ventre River Ranch. 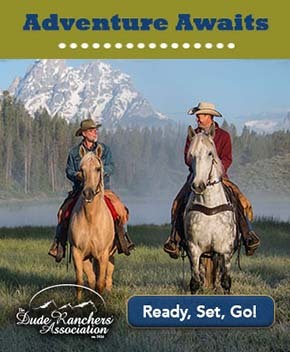 Many dude ranches in this area are located in close proximity to downtown Jackson Hole and offer riding in and around Grand Teton National Park and Bridger Teton National Forest, vast areas of trails within our beautiful public lands. One of my favorite stops was The Red Rock Ranch, located a good ways down a dirt road inside the Bridger-Teton National Forest. What I liked most about this option is that they offer something more unusual for a guest ranch-- Vaulting, gymnastics on horseback. This is part of their children’s program, which has a comprehensive riding lesson program for kids. If you're looking for a place where your horse loving child can learn to ride or better their skills, this ranch might be a good pick. For more than 40 years, the same family has owned and run The Red Rock Ranch, something that Doug Hare explained to me as we toured their tidy tack room, visited the ranch’s herd of horses and cozy main lodge. The Red Rock Ranch has a comprehensive kids riding program, complete with Vaulting, where kids can truly challenge themselves in the saddle and learn. Triangle X boasts stunning views of the Tetons from the ranch. I drove to check out much-talked about location of Lost Creek Ranch, where they filmed the ABC comedy “Modern Family,” and where there are truly amazing views of the Tetons. Next, I made a stop to attend the 90th anniversary party at Triangle X. 2016 marked 90 years of five generations of the Turner family being stewards of the guest ranch and the land. This dude ranch is also unique as a dude ranch operating inside Grand Teton National Park and offering scenic float trips on the Snake River. Again, fabulous Teton views abound from the main part of the ranch, where guest cabins and the main lodge are situated. 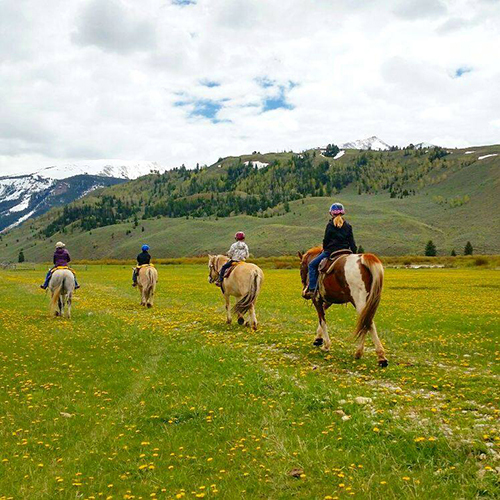 After visiting just a few of the many ranches in a short driving distance of downtown Jackson Hole, I decided that I’d just have to make plans to go back to ride at one each summer and truly wouldn't mind that at all.